May I use this image for a tag to honor Boston! I spend every Thursday on the Prudential plaza as a vendor at the Prudential Farmers market. I’m also a beading tapestry artist. 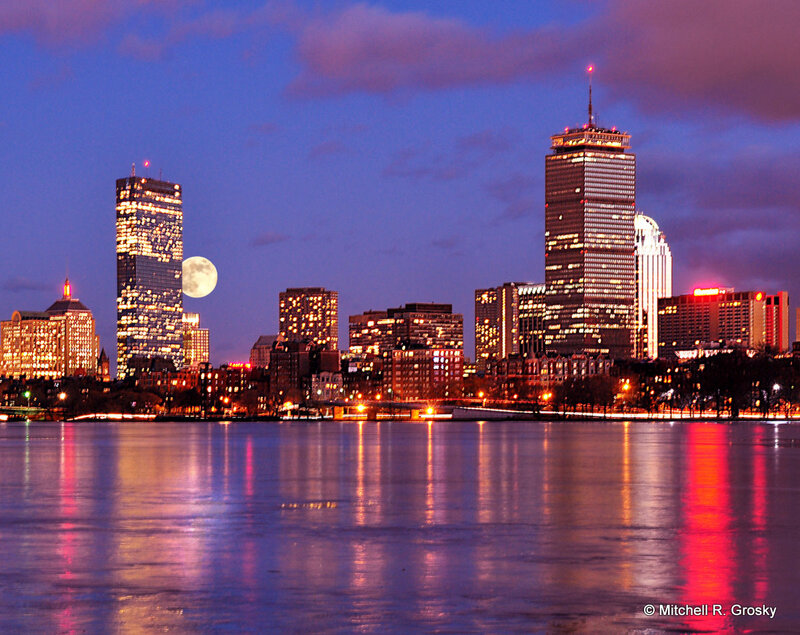 Would you allow me to use this gorgeous Boston picture to transfer to a bead grid to bead a tapestry? Something about your picture just speaks to me. great job. Thank you, Erica, for your compliment about my work. I have sent you an email regarding your request. I would like to purchase this picture. Can you advise how I might go about purchasing this? Hi, Tom! I sent you an email over a week ago in which I mentioned that I needed information on whether you wanted a 5×7, 8×10, or 11×14………whether you wanted matted and UNFRAMED or matted and FRAMED………….whether you wanted it framed by me personally (bargain rates) or professionally framed? Please get back to me if you are still interested. The colors pop andthe moon is perfectly exposed. Yep off with the VR, excellent composition though! No offense but this photo is very blurry. Maybe a decent tripod with a remote shutter release and it would be very sharp. What lens did you use? Gorgeous night shot, very nicely done!! Thanks very much, Joe! Boston is a gorgeous city!